AKC breeders are people that breed purebred dogs that are registered with the American Kennel Club. Their puppies are also purebred dogs and can be registered, as well. The American Kennel Club (AKC) is the primary registry of purebred dogs in the United States, although there are a few other organizations that do register dogs. Because it is the most commonly used registry, you can trace your purebred dog’s lineage to see who her ancestors were, through the official registry of the AKC. If a dog breeder’s dogs are AKC registered, they will tell you on their website or in their literature. Registered dogs are guaranteed to be purebred, but they are not guaranteed to be healthy. in the yard at their AKC breeder’s home. What Makes AKC Breeders Different? A dog breeder is the owner of the female dog, on the date of a mating, that results in a litter of puppies. AKC breeders are members of the AKC or the American Kennel Club. 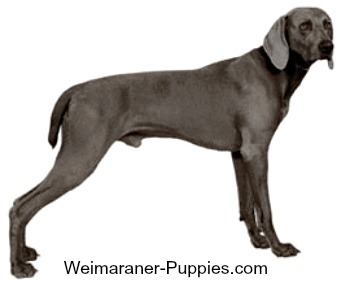 When a dog is registered, it simply means that the Weimaraner puppies’ parents were registered with the AKC or another dog registry organization, as a recognized dog breed. Dog registration is also a way to trace a dog’s lineage, especially if you plan to show your dog or you are looking for an outstanding hunting dog. For a litter to be eligible, the Dam & Sire (female and male dogs) must both be AKC registered. The puppies must be born in the U.S.
AKC breeders register each litter, with the American Kennel Club. AKC sends their AKC breeders the individual registration applications for each puppy in the litter. Once purchased, the buyer completes the application process and receives an AKC Registration Certificate. There are processing fees involved, and it usually takes about 3 weeks for you to receive your puppy’s registration. 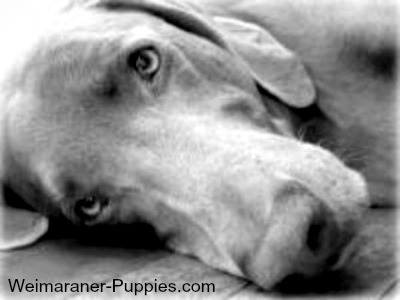 By registering your Weimaraner puppy, you are creating a permanent record of your dog’s place in breed history. A pedigree certificate or registration (“Papers”, for short) simply lists the names of your dog’s parents, grandparents, and so forth. Like a family tree. The list of ancestors typically goes back 3-4 generations. AKC registration doesn’t mean that the puppy’s parents were checked for health problems. Nor does it indicate that a puppy was raised properly. And it certainly doesn’t guarantee a healthy dog with a good temperament. Some believe that, unless you plan on showing or breeding your dog, you don’t really need to have papers for your dog. Also, keep in mind, if you are adopting a dog from a pound or rescue, you might not be able to get a registration for your dog. However, if you are getting a puppy from a Weimaraner breeder, it is wise to register your Weimaraner puppy, no matter what you plan to do with your dog. Does Dog Registration Guarantee a Healthy Puppy? The AKC is a non-profit organization that maintains a purebred dog registry, sanctions dog events, and promotes responsible dog ownership. They state on their website that they “cannot guarantee the quality of health of dogs in its registry”. The AKC also reserves the right to refuse or to rescind the registration of any dog for cause. The AKC has no health standards for breeding. Therefore it’s up to the AKC breeders to complete all necessary health testing. The AKC relies on AKC breeders to provide complete and accurate information, which is basically the honor system. 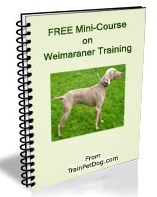 Why Register Your Weimaraner Dog? There are two primary reasons for registering your dog with the AKC. In addition, many people simply like to know who their dog’s parents and grandparents are. It’s fun to tell others that your dog has a Grand Champion or a superb hunter in its lineage. 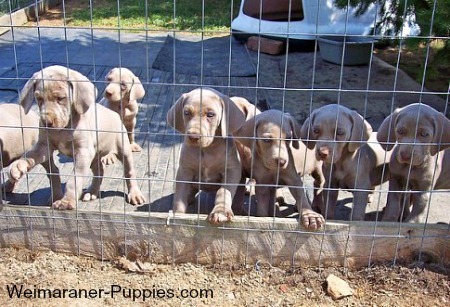 The bottom line is that, while it is not absolutely necessary to register your Weimaraner puppy, you may want to do so. 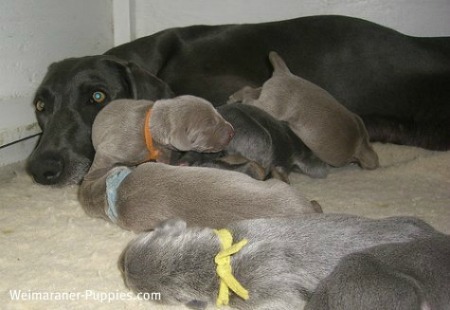 Your Weimaraner dog breeder will help you do this.